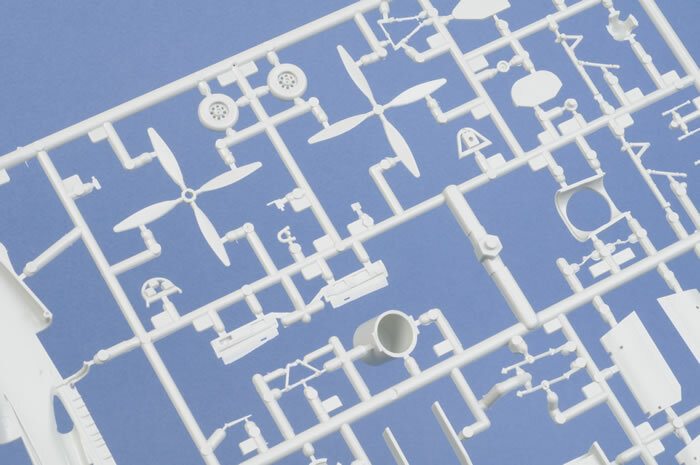 105 pale blue/grey plastic parts on three sprues, 13 very clear plastic parts on one sprue, decals for 4 aircraft plus a 12 page A4 sized instruction booklet with history, parts plan, 38 build diagrams and 2 pages of paint/decal instructions. 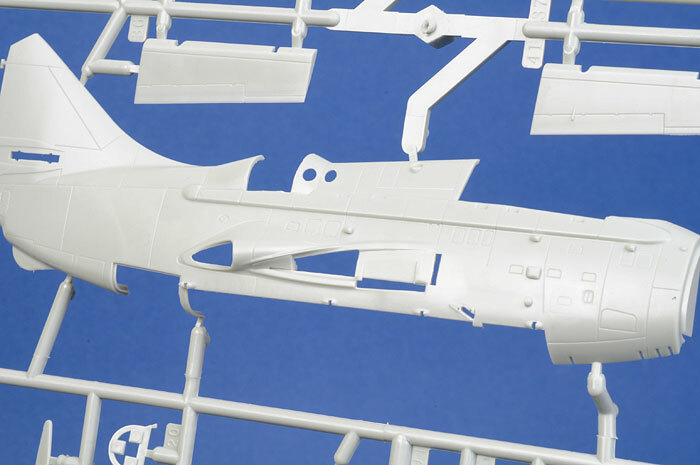 Advantages: The second recent injection moulded example of this aircraft in 1/72 scale and a definite improvement over the first. Highly detailed cockpits, wheel wells and weapons bay. All flight controls are separate and therefore positionable. Landing flaps can be deployed or retracted. 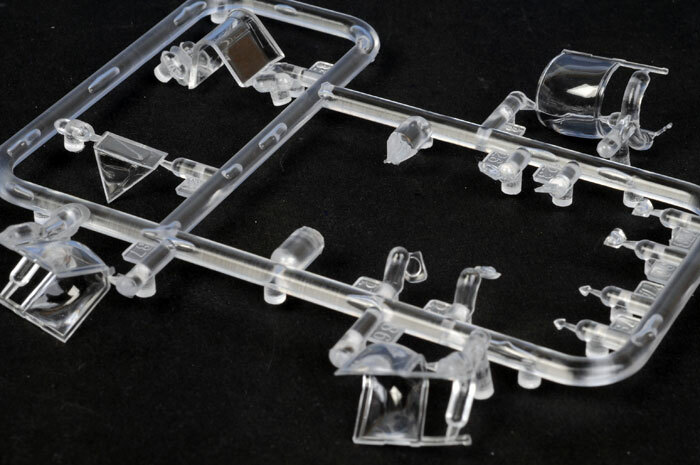 Clear parts designed to have an open canopy option. 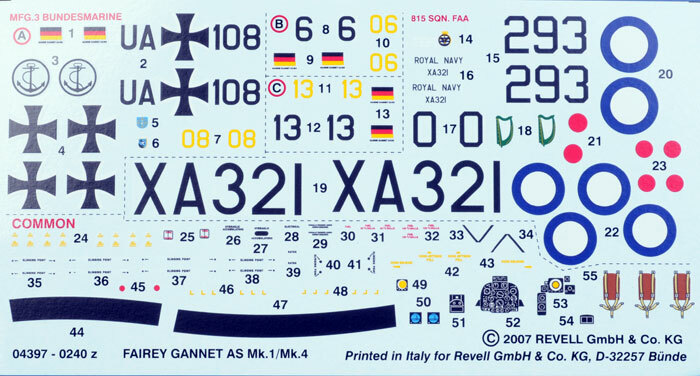 Excellent decals for three Bundesmarine and one Royal Navy aircraft. Disadvantages: No ordnance for the weapons bay, small amount of flash and pin marks in wheel wells. Conclusion: 1/72 scale modellers have waited a long time for this model and our patience has been richly rewarded. 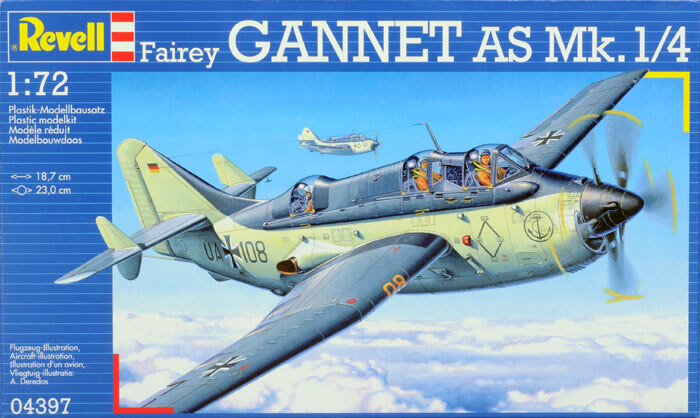 Trumpeter was good, but Revell’s Gannet is clearly superior. With the recent release of a couple of Gannet kits in both 1/72nd (Trumpeter) and 1/48th (Classic Airframes), there has been considerable written about it and several books published by +4, Mushroom and others so suffice to say that this big ugly brute set quite a few firsts with its introduction into the Royal Navy. It was the first in the world to fly with coupled twin turbines driving contra-rotating props giving the safety of a twin engine aircraft and the ability to shut one down for economical cruising which gave it a very long endurance. It was also the first post-war Fleet Air Arm aircraft to be able to both find and destroy submarines in the “Hunter/Killer” role and the first to carry most of its weapons (rockets excepted) internally in a huge weapons bay. The A/S 1. was followed later by an A/S 2. with slightly more powerful motors but was externally identical. They were used by Great Britain (Royal Navy A/S 1. and 4. ),Germany (Bundesmarine A/S 4. only), Australia (RAN A/S 1. only) and Indonesia (A/S 4. only). Who said aircraft had to look good to perform well? 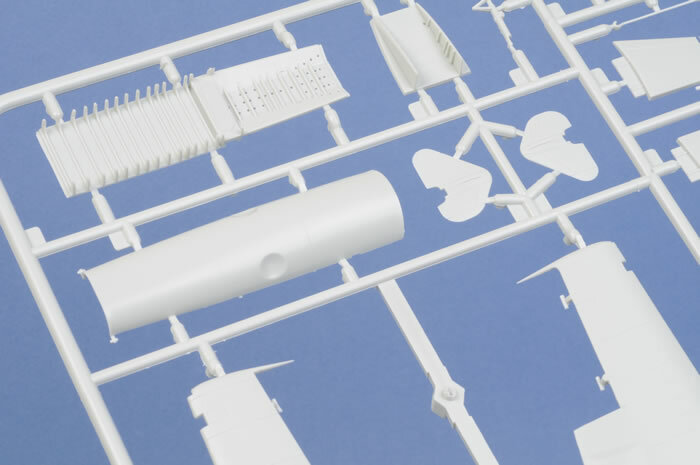 For years, we 1/72 scale modellers have had to put up with the very old and plain Frog kit (later released by Revell). Then, along came CMR and gave us a very nice all-resin Gannet, but it was pricey and somewhat scary for those not used to resin. Last year, Trumpeter produced a 1/72nd scale kit which looked good initially but later showed some shape faults and appears to have been designed by the “B” team and there-fore lacked detail in some important places such as cockpits and weapons bay. 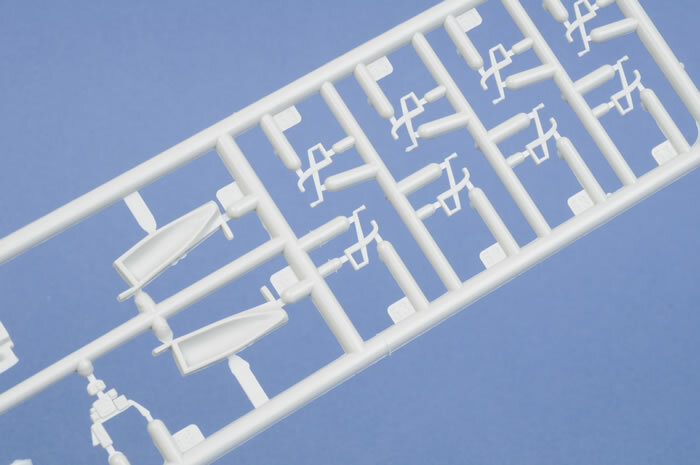 About the same time, Revell Germany announced that it too would release a Braille Gannet and considering their recent kits, detail-wise, this was the one we were waiting for. Was it worth the wait? You bet! This kit is superior to Trumpeter’s Gannet in all respects. Every part is more detailed both inside and out. 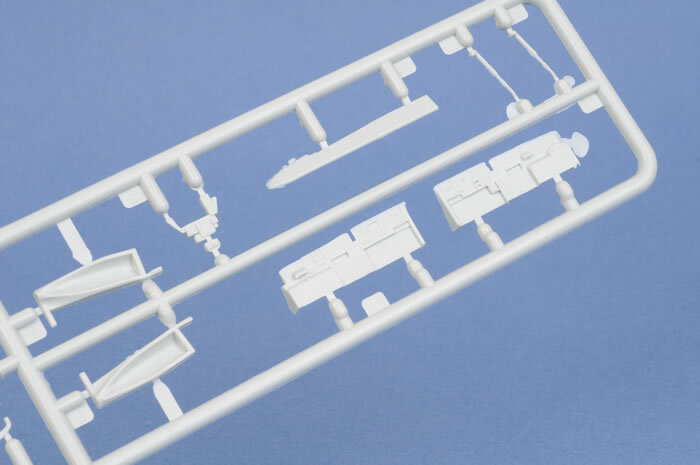 From the fully detailed cockpits to a very complete weapons bay, Revell has given us the lot. Could they have done any more? Well, yes, they could have offered folded wings and ordnance but anyone who is not satisfied with this won't ever be. Trumpeter's kit has a problem around the nose. The inlet scoop should be considerably wider than the spinner and it should extend much further up either side beyond the centre line of the spinner. Revell got this correct, Trumpeter didn't. 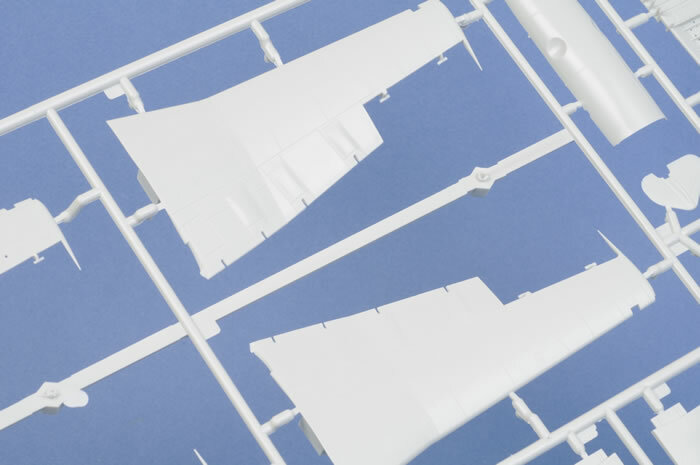 Trumpeter's wing tips, both main and tailplane, are dead straight while Revell's have a gentle washout (curve) that is borne out by both plans and photographs. Also, Trumpeter's finlets have a continuous radii on the lower tip while Revell's almost flatten out, again shown to be correct via photos. 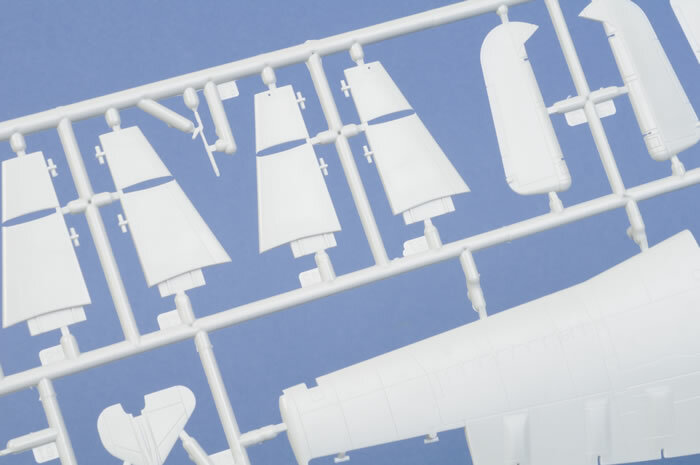 There seems to be a discrepancy between the lengths of the undercarriage legs, both main and nose, in the two kits. I haven't been able to determine which is correct despite getting dimensions from 4+s 1/72nd scale plans. Revell's are longer but I must add that it's much easier to shorten long legs than it is to lengthen short legs. Wheels are similar in size but the hubs are nothing alike and again Revell's seem to better match photos. 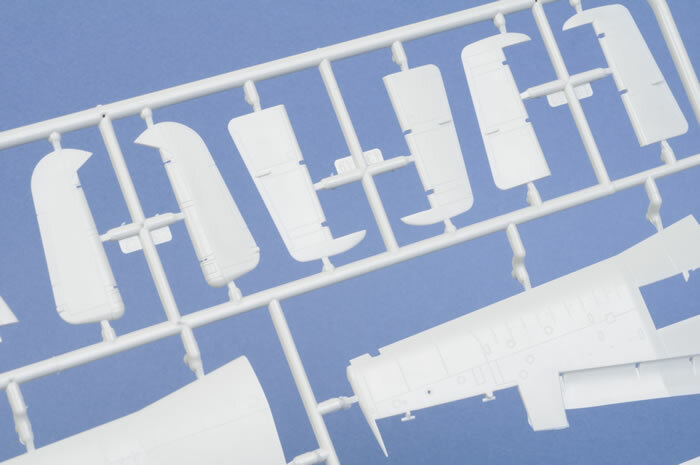 Clear parts look reasonable in both kits but Revell's are thinner and designed to be optionally opened plus the four round port holes just forward of the third pit are clear in the Revell kit and just engraved in Trumpeter's. 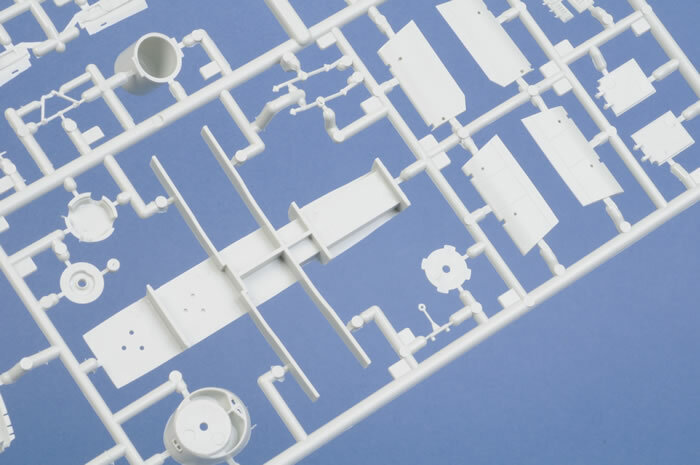 All control surfaces are separate in the Revell kit and can therefore be positioned whereas Trumpeter’s are all fixed. Landing flaps in both kits can be deployed or not and are quite well detailed. The only faults I could find with the Revell kit, apart from a small amount of flash which will not take much to clean up, was some ejector pin marks in the wheel wells which you will either have to live with or wait for some one to come up with resin replacements and the three seat pans which looked rather shallow. 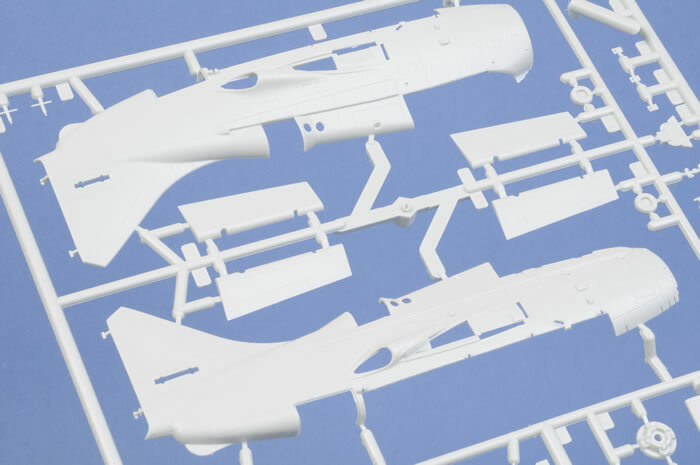 Decals, as we've come to expect from Revell are well printed and in register but are a little on the matt side. There are markings for three German Bundesmarine Gannets, UA+108, 106 and 113 plus one Royal Navy, XA321, 392/O of 815 NAS operating from HMS Ark Royal, 1956. 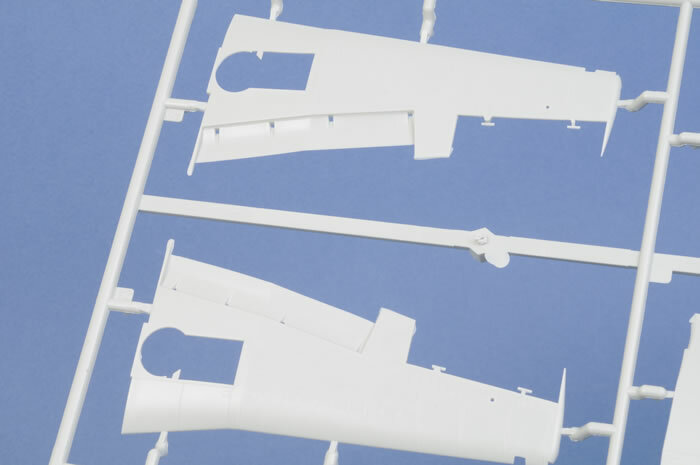 There is also a complete set of stencils for one aircraft which includes black walkway panels, seat harnesses and instrument panel faces. This is one of those kits that I just can't wait to build. The level of detail is very high and problems in earlier kits appear to have been corrected. It will be a long time before another Gannet kit comes along that is better than this so, yes, it has definitely been worth the wait.